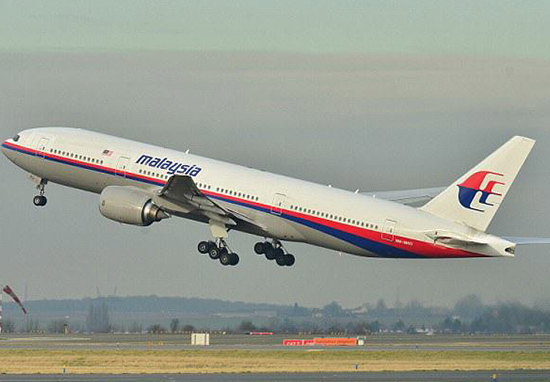 On March 8, 2014, Malaysian Airlines Flight MH370 left Kuala Lumpur International Airport en route to Beijing. Less than an hour into the flight, voice contact was made with the pilot for the last time, as the plane flew over the South China Sea. What happened to the plane after this final contact remains ‘one of the biggest mysteries in aviation history’. With 239 people on board MH370 seemed to vanish. The plane completely disappeared from all radars. Now, four years later, very little has been found and there is no certainty regarding what actually happened on that fateful night. However, on Saturday night a panel of aviation experts appeared on Australia’s 60 Minutes to discuss their theories about the missing plane – and they came to a conclusion. The panel on 60 Minutes consisted of senior Boeing 777 pilot and instructor Simon Hardy, former senior investigator with Canada’s Transportation Safety Bureau Larry Vance, aviation safety expert Captain John Cox, former Chief Commissioner of the Australian Transport Safety Bureau Martin Dolan and John Dawson, a lawyer who represented families in the MH370 and MH17 cases. Opinion between the experts was divided between two major theories surrounding the aircraft’s disappearance: that the plane ran out of fuel, or that it was directly crashed into the ocean. However the main conclusion that the experts came to is that the pilot, Captain Zaharie Ahmad Shah, deliberately crashed the plane into the ocean in a murder-suicide. In MH370, you have the pilot flying between Malaysia and Beijing who turns back the aircraft. The evidence is so heavily weighted to involvement by one of the aircrew taking this aircraft down. The evidence is so heavily weighted to involvement by one of the aircrew taking this aircraft down. That aircraft has probably depressurised, the people died of asphyxiation, it was premeditated murder. It was highly planned. The bodies have never been found. Senior Boeing 777 pilot and instructor Simon Hardy added that he believes when Captain Shah left Kuala Lumpur he flew MH370 deliberately along the border of Thailand and Malaysia. Doing so makes it a lot harder to detect the plane on either countries radar. Shah then flew over his home city of Penang, Malaysia, which Hardy believes was to say an emotional goodbye to his city, before turning back towards the Southern Indian Ocean and piloting the plane into the ocean from a great height. As the aircraft went across Thailand and Malaysia, it runs down the border, which is wiggling underneath, meaning it’s going in and out of those two countries, which is where their jurisdictions are. If you were commissioning me to do this operation and try and make a 777 disappear, I would do exactly the same thing. As far as I’m concerned, it’s very accurate flying and I think it did the job, because we know, as a fact, that the military did not come and intercept the aircraft. They all concluded that the pilot had set out to ‘kill himself’. Evidence to suggest that the ‘disappearance’ was a planned murder-suicide stems from the fact that Shah had made zero plans following March 8. The official theory, however, which has been adopted by both the Malaysian government and the Australian Transport Safety Bureau, is that the passengers and crew of MH370 were incapacitated by an unknown ‘unresponsive crew/hypoxia event’. Hypoxia is a deficiency of oxygen. They believe that Shah was unconscious and had been for hours, and as MH370 ran out of fuel, it flew on autopilot until eventually crashing into the ocean.Numerous searches have been made for the wreckage of MH370, including one costing £111 million. However all searches have found very little. Texas-based company Ocean Infinity are pioneering the latest search for the plane who believe they have an 85 per cent chance of finding the wreckage. Their search is underway now and is set to go on until mid June. Dear Sir, could you please include the sources of the information?